fun | Live Cheap, Feel Rich! It’s almost time! 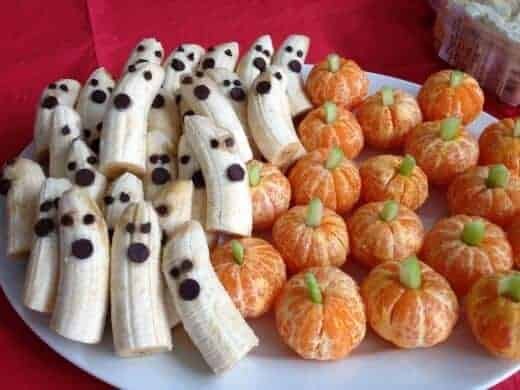 There are so many parties from in-school, to after-school, to the weekend – I needed ideas for all the events and found some ADORABLY scary snack ideas that I know you’ll all love. They’re easy, inexpensive, and sure to be crowd pleasers – check them out! I just love these. They are so cute it hurts. Super easy to make. If you don’t know how to boil an egg, check out my post from #WorldEggDay for a foolproof recipe. Halve the eggs, and separate the whites from the yolks. To the yolks, add some mayonnaise (or Greek yogurt if you are looking to be a bit healthier! ), dijon mustard, salt & pepper. If you’re feeling spicy, add some sriracha! It’s my favorite – but may not be the kid’s favorite! 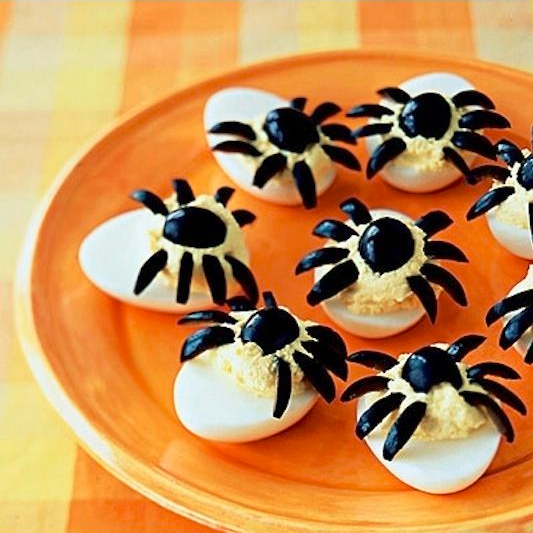 To make them spiders, simply grab a can of large black olives and get to slicing! These are such cute little appetizers – I can’t wait to make them. I know they will be such a hit! I may be dying of serious cute overload. These are so awesome and creative I cannot even get over it. 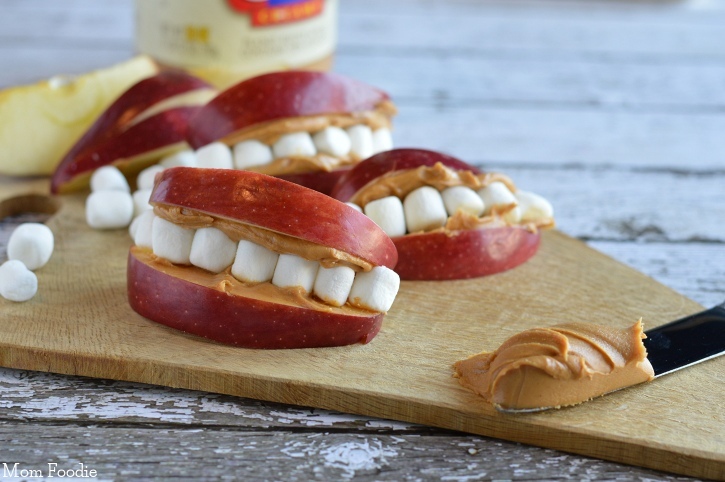 Apple Peanut butter teeth, brought to us by Bloomi.com are super simple and no bake! Simply slice up an apple – an apple corer/slicer is perfect for this purpose. Once your apples are sliced, spread peanut butter on one side of each slice and line with mini marshmallows – slap together the apple slices and you’re done! I love these. Have I mentioned that? This is how I die. From the total overwhelm of cute. These look SO easy. Simply halve bananas and pop in some chocolate chips and peel some clemetines and pop a small stalk of celery in. I love these. I love these. I love Halloween. What a novelty Dippin’ Dots are! They claim to have re-invented one of the world’s best known treats: ice cream. By flash freezing little beads, what’s been created is an even more fun way to eat ice cream – loved by kids of all ages for more than two decades. If you join the Dot Crazy!® Email & Rewards Club, you get free interactive games, learn about the latest deals and promotions, earn points towards awesome rewards, and, most importantly, you’ll be sent FREE Dippin’ Dots on your birthday!